For this, our tenth summit, the CTO Roundtable is bringing together the thought leaders in a new field that is rapidly taking center stage for the country’s technologist and policy makers. Key leaders in the development and application of drones will provide their insights and peer under the covers of this exciting technology. Dr. Lance Sherry, is executive director for the Center for Air Transportation Systems Research (CATSR) at George Mason University. Dr. Sherry will discuss the trends in drone technology and the focus on the use of drones to catalyze business innovations in areas not routinely using drone capabilities. Michael Dyment, founder of Nexa Capital Partner, established the NextGen Equipage Fund, to accelerate investment in new technologies for the commercial air transport sector. He will explain the struggles of getting drone systems untethered from regulatory constraints in America – nothing is easy. John Lambert is a former President and Chairman of the Board, Association of Unmanned Vehicle Systems International (AUVSI). He will drill down into how precision agriculture has become a global phenomenon across the globe except for America – this examination hints at what we are missing in not letting drones take flight more in the US. We have added a "Drone Petting Station" to the 10th CTO Roundtable Summit! As with other innovations in the last century, the drone technology did not grow from a single point. It took root in garages, on workbenches, and in the backyards of thousands, who tinkered, refined, played and coded for the love of the potential. It's one thing to read about and discuss, but quite another to go hands on with the potential that has been rapidly outpacing regulation. 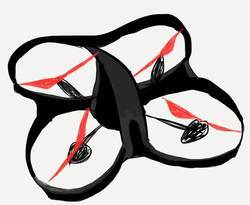 A small team of local innovators from Gannett (Bill Frischling, Kevin Goff, Liam Oliver, and Rob Klause) will be onsite with their fleet of drones, some store bought, others built from scratch. You can watch them fly, see what makes them work, and learn from a group that has been discovering their potential for both work and fun through hundreds of hours of personal experience.